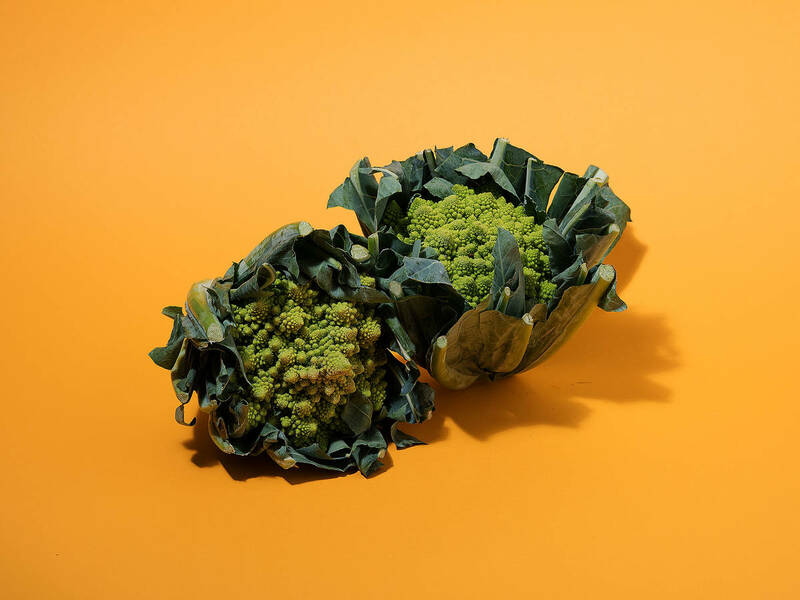 It looks a bit odd, tastes like a mixture between cauliflower and broccoli, and is enjoying growing popularity among market-goers: Romanesco! With its intense color and turreted florets (did you know that it grows naturally in a Fibonacci series? ), it has a distinctive look, but makes more than just a good optical impression. Compared to other cabbages, Romanesco contains way more nutrients. For example, it has an 80% higher amount of pro-vitamin A and contains more vitamin C and carotene compared to cauliflower. Due to its delicate cell structure, Romanesco is also easier to digest. What’s your favorite romanesco recipe? Tell us in the comments, and upload a picture of your creations for all to enjoy! This turreted cauliflower comes from southern regions—more precisely, it’s based in the Mediterranean region. To this day, more than 50% of the Romanesco sold are from Italian and Spanish harvest. In contrast to white cauliflower, Romanesco is not covered with large leaves, and therefore it is exposed to the sun. That’s why it develops its intense, green color. Romanesco is generally available from late May to early October. In Italy, Spain, and France, the season starts earlier and lasts longer. If you want to make sure your Romanesco is fresh, check out the outer leaves. They should be crisp and a rich green, not wilting or yellowing. The younger and more delicate the Romanesco, the more suitable it is as raw food. Of course, you can also cook Romanesco. Whether whole or roasted, cooking the Romanesco in salt water makes it more digestible and tasty. Basically, the preparation of Romanesco is exactly the same as with cauliflower. Use a knife to remove the stem and outer leaves. Then, wash it under running water, dry, and cut it into florets for further processing. So that Romanesco retains its nice green color after cooking, you should only cook it shortly. Divide it into small florets and parboil in salt water only until firm to the bite. The fresher the Romanesco, the better it tastes, and the more nutrients remain. Nevertheless, you can keep it in the vegetable compartment of your refrigerator for up to 4 days—and always leave the outer leaves on when storing because they serve as a natural freshness protector.